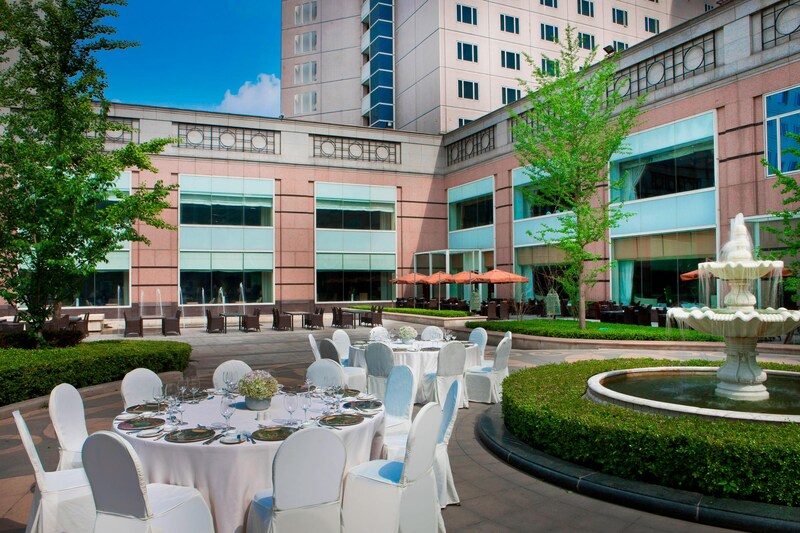 Situated in the heart of Beijing’s business, shopping and diplomatic districts, the hotel combines legendary St. Regis Traditions like the personalized Butler Service, Evening Ritual, Afternoon Tea and the famous Bloody Mary, created at The St. Regis New York. Iridium Spa with natural hot spring from 1,500 meters below the surface. A stunning glass-walled swimming pool, a 6,000-square-meter landscaped garden. Three exceptional restaurants and two signature bars. 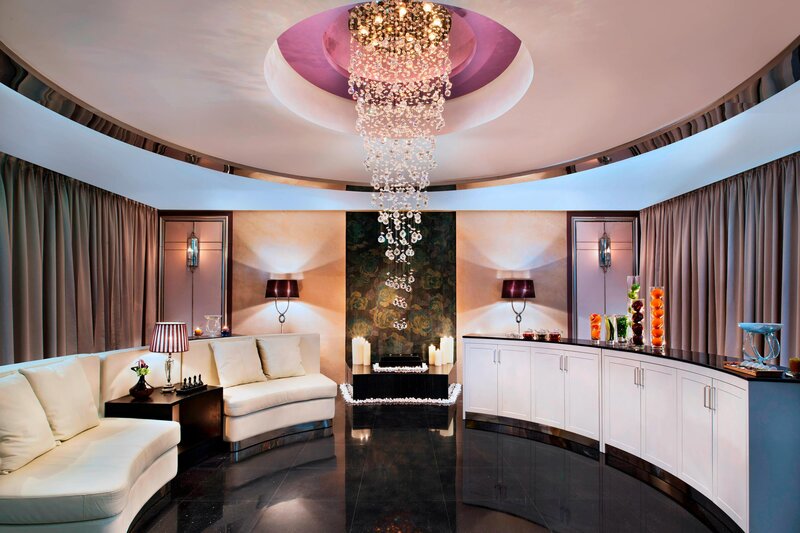 All together present The St. Regis Beijing as one of the finest expressions of hotel luxury. 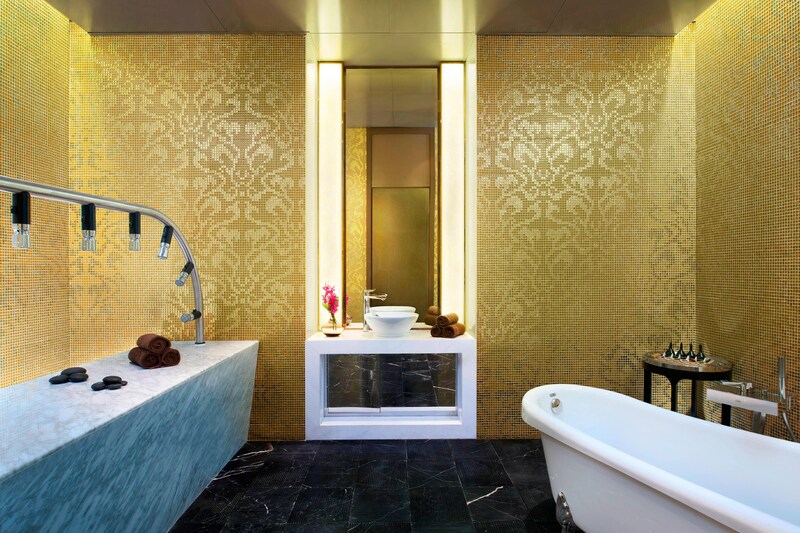 The St. Regis Beijing has received extraordinary and consistent recognition from a wide array of prominent global lifestyle and travel publications, including Condé Nast Traveler, Travel & Leisure, Institutional Investor and Elite Traveler. Since the opening in October of 1997, the award-winning hotel has offered global travelers an unrivaled dimension of luxury, sophistication and bespoke service. 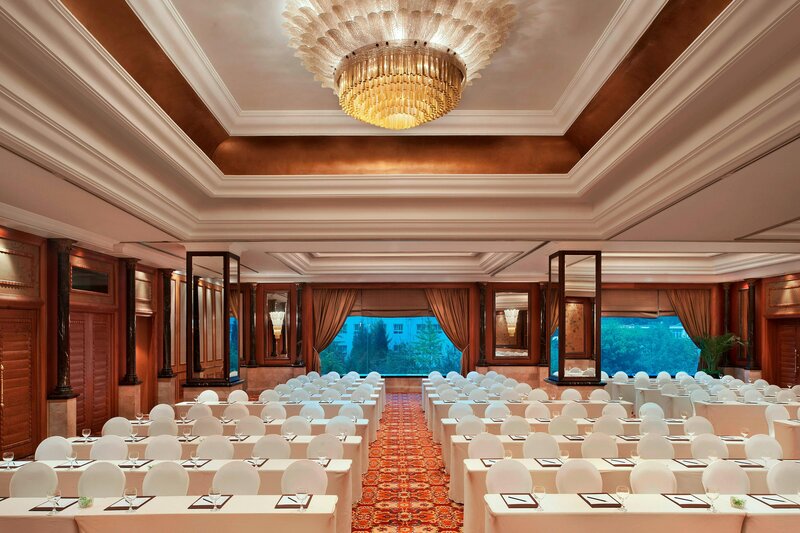 Continually committed to excellence, The St. Regis Beijing proudly hosts exceptional Beijing events by providing superb facilities, cutting-edge technology, and thoughtful service. 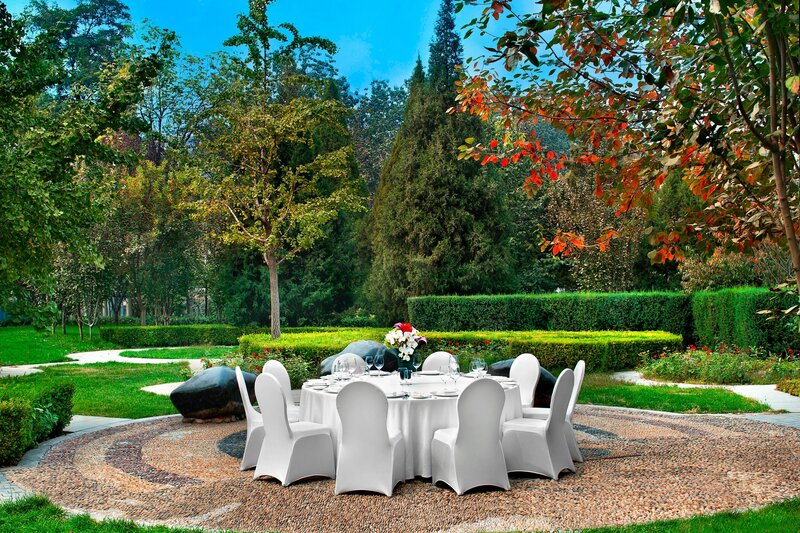 Our picturesque garden provides a tranquil, spacious setting for auspicious cocktail receptions, alfresco banquets, and imperial lawn parties. 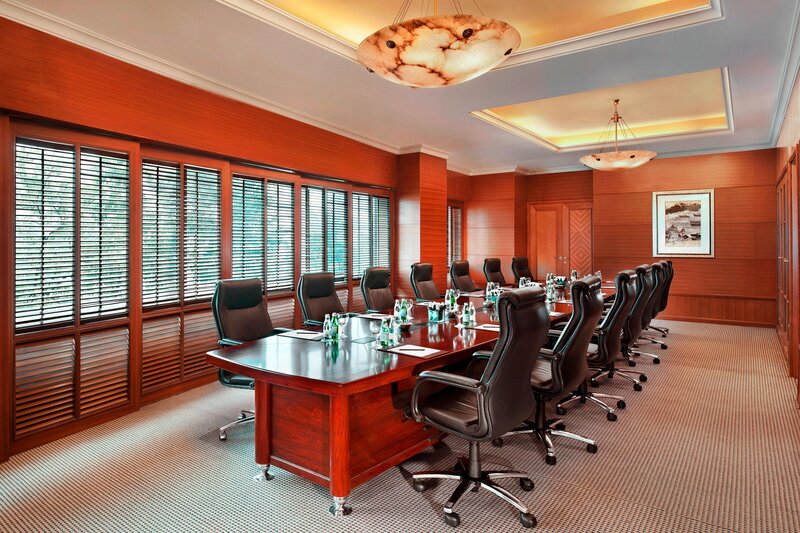 We offer 9 stately meeting rooms, each stylishly equipped with advanced multimedia presentation and videoconferencing facilities. From elegant flower arrangements and captivating venues to custom catering and a personal St. Regis Specialist, we provide all of the elements necessary to surpass your expectations and create an enchanting occasion. The spacious area incorporates with an elegant flowering garden, complete with magnificent water fountain which establishes a timeless tone. At The St. Regis Beijing, natural hot springs rising from 1,500 meters underground flow through a special filter into luxurious Jacuzzis. 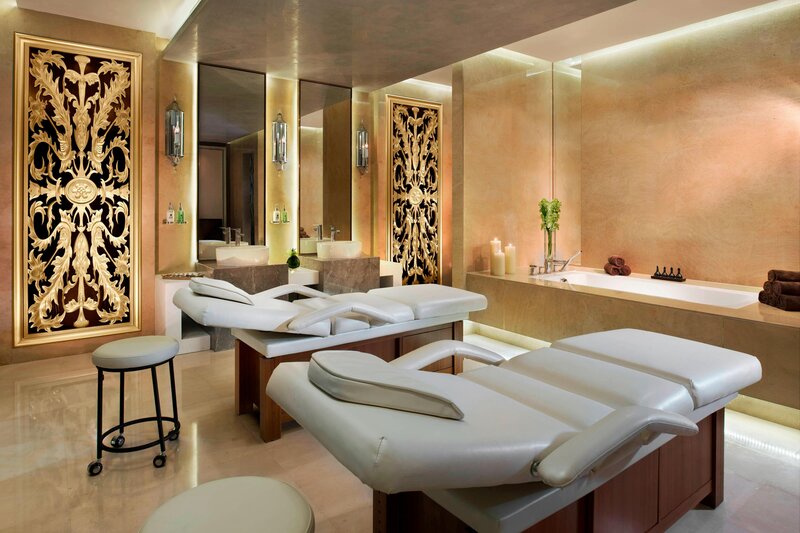 The Iridium Spa comprises 1,500 square meters, all dedicated to relaxation and rejuvenation, beautifully enhanced by signature service. 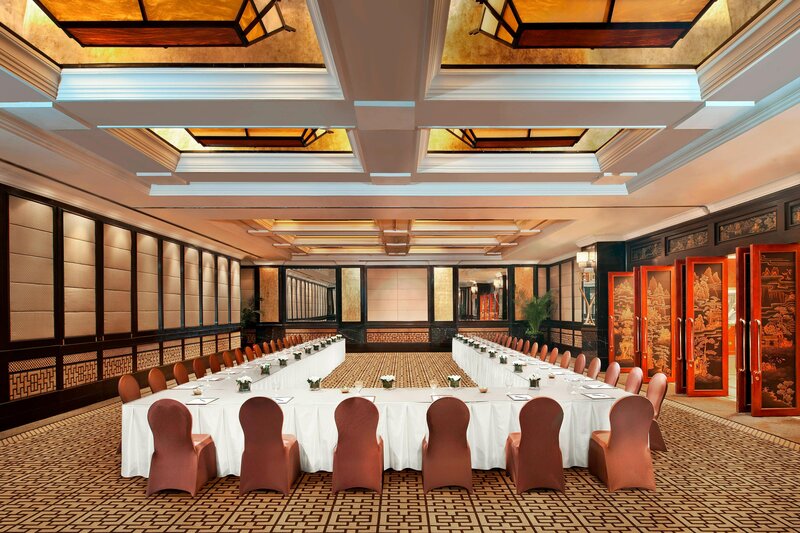 The historic and prestigious address in China’s most historic city, The St. Regis Beijing places you in the centre of the capital’s diplomatic and commercial district. Within a 10-minute walk are most of the embassies in Beijing’s original diplomatic district, the eclectic, exciting and energetic Silk Market and scores of restaurants. As the centre of China’s government and culture, Beijing brings with it the very best of the many provincial gastronomic styles across China and the best of these can be found in walking distance of hotel.